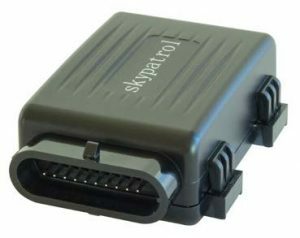 The Skypatrol SP5600 series of GPS tracking devices are compact, water resistant and perfectly suited to installation in motorcycles and other powersport vehicles including ATV’s, jet-skis, snowmobiles and boats. The electronics are designed for low power consumption so it preserves the powersport vehicle’s battery. The SP5600 devices also include an internal backup battery and a GSM jamming detection system. With multiple I/O it also has distance traveled, change course, time and event and I/O upload modes options. This user-friendly design is easy to install and operate.